I've always looked at teachers walking around with their keys hanging around their neck in a beautiful lanyard and thought for myself "If I one day become a teacher, I want to have a nice looking lanyard myself!". And now that I have my new job and my new keys, the only thing that was missing was the lanyard. But since big, colourful lanyards pretty much catches the eye, I made three of them - all in different colours and all designed to match different kind of clothings. The yellow-brownish pearl lanyard is for my retro clothing. 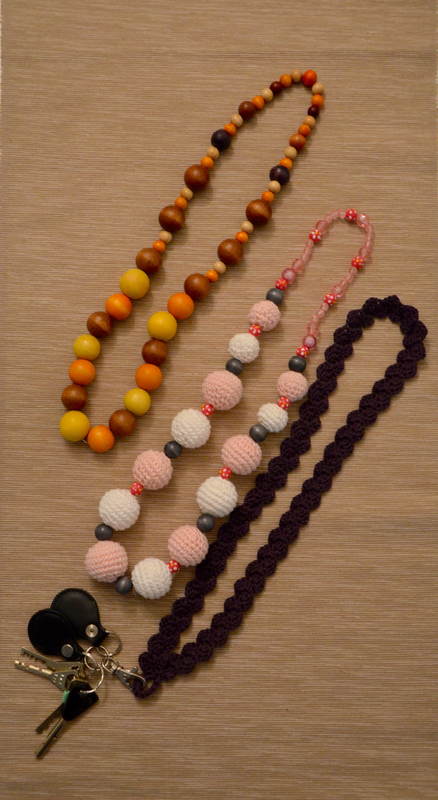 The white and pink lanyard with crochet pearls is for sweet and girlish light-coloured clothing. And finally the violet one (looking almost black in the picture) is for casual clothing. 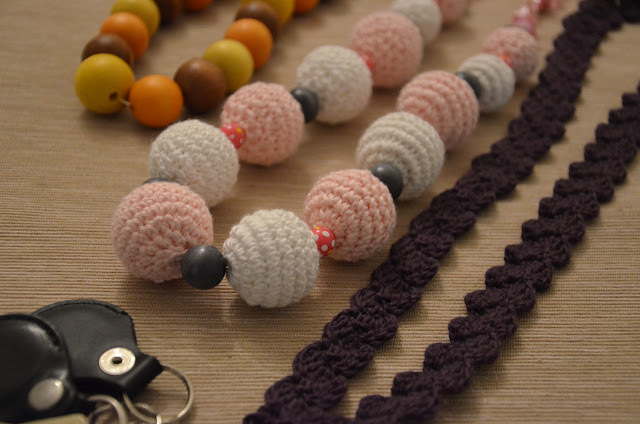 The pattern for the violet crochet lanyard can be found here at the blog Pienestä Suurta. 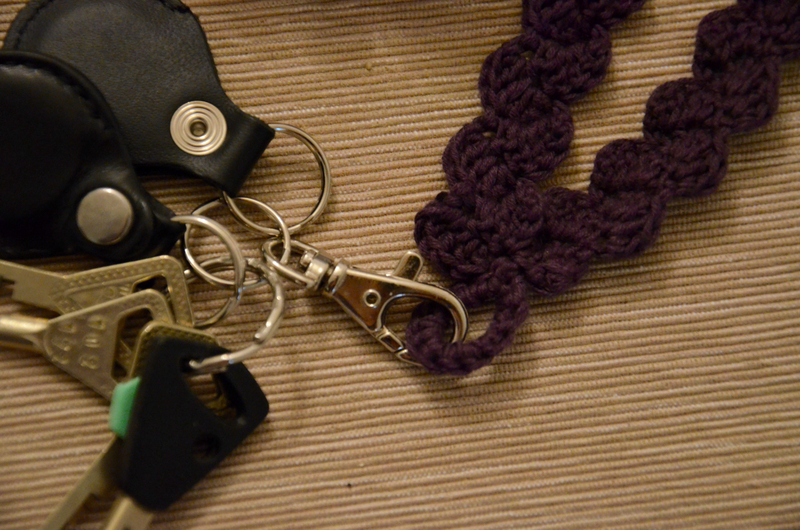 I made my lanyarn 5 dc wide and then added a loop at the bottom to hang my keys at. 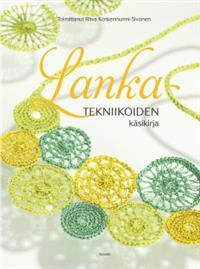 The pattern for the crochet pearls is from a very good book called Lankatekniikoiden käsikirja. If you're interested in special techniques using yarn, I really recommend this book. It has anything from frivolité to tunisian crochet and needle lace. Oh they look so nice. Congrats again for your new permanent vacancy! So cool you got one! (where was it again?) I only wish to be in same position in year's time or so. Oh to be making my own key chains... that would be absolutely fabulous! Hei! Minulla on sinulle haaste blogissani!